Is comparison living hijacking your life? Do you find yourself measuring your value against your friend's house, body, marriage, resume, paycheck, organic garden, or Pinterest-worthy holiday decor, and coming up lacking? Do your college roommate's Instagram snapshots bear little resemblance to the scene at your house this morning? Excessive comparison and competition sap our energy and steal our joy. Our friends become our audience and judges, and our kids become part of our brand. Add social media's constant invitation to post and peruse, and it's no wonder that we're left exhausted, discontent, and lonely. Thankfully, there is another way. 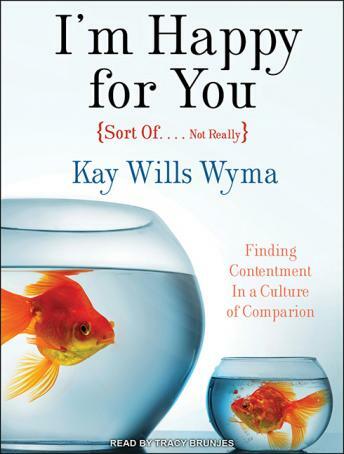 With refreshing candor and humor, Kay Wills Wyma shares her experiences with comparison living and offers listeners the simple remedies that helped her and her family reboot their perspective and discover freedom, authenticity, and joy.